There are many watchlists within TradeGuider named A through Z. Can you consolidate them into a single watchlist? 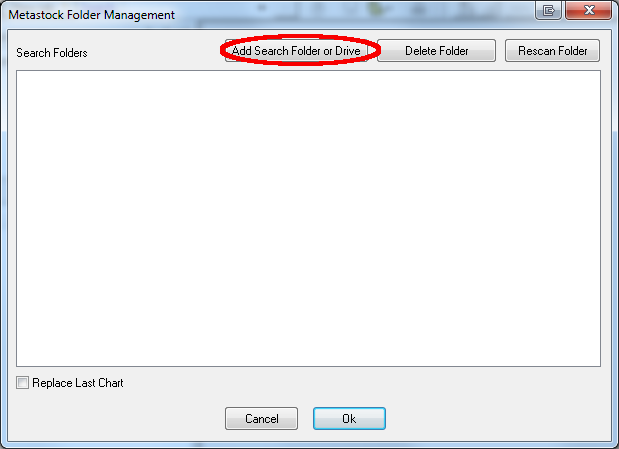 How do I create a watchlist within TradeGuider that references a Custom Folder? How do I maintain the symbols within TradeGuider? When I look at a chart of some of the major US indices (eg. Nasdaq Composite - $COMP) I see negative volume. How do I fix this? 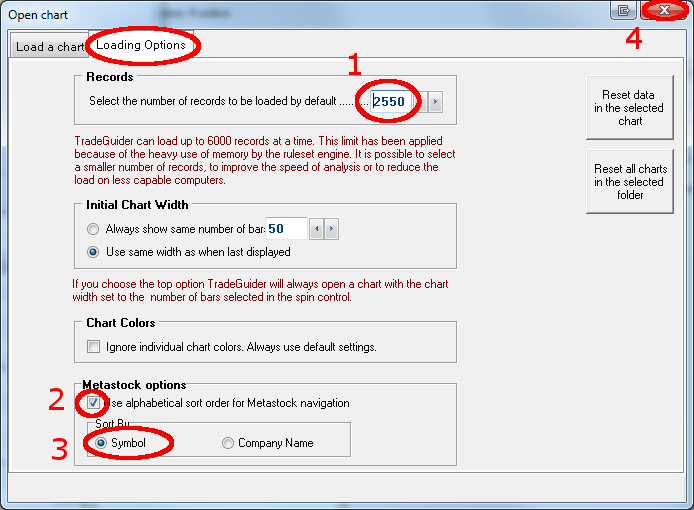 Note: This step is ONLY applicable for users of our stock data. 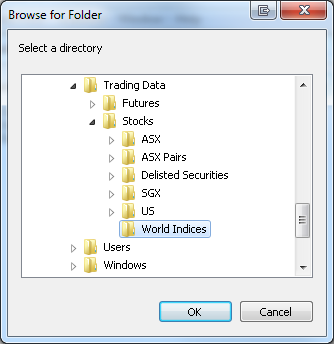 We can organise our stocks into single foldes instead of alphabetical subfolders. 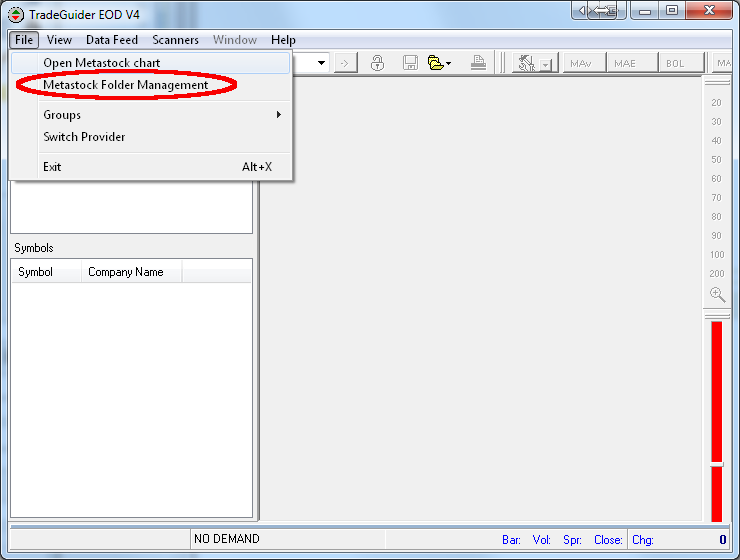 This makes our life very easy later on when we add securities in the focus list. For US stocks, you would add the folders AMEX, Nasdaq, NYSE, NYSE Arca, OTC (if wanted) and Indices. 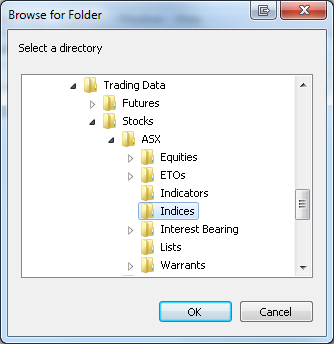 Click OK and you should now be able to navigate to your selected stocks within TradeGuider. 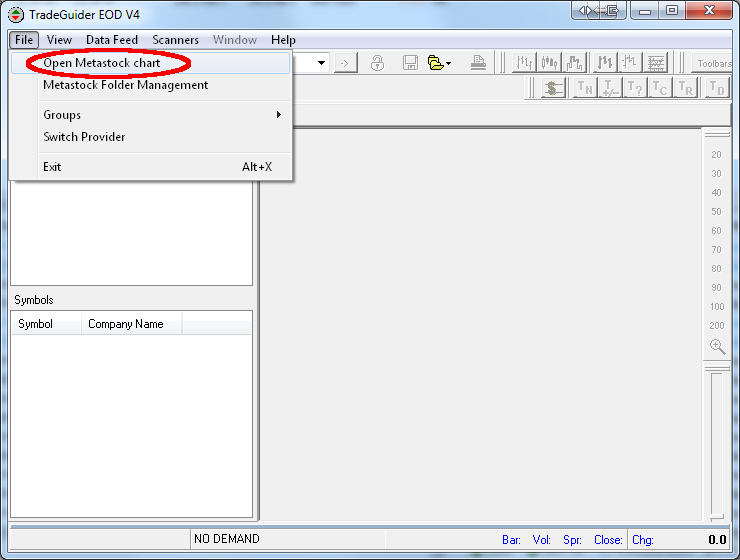 You need to consolidate your A-Z folder structure within Premium Data as shown in Step 1 above. 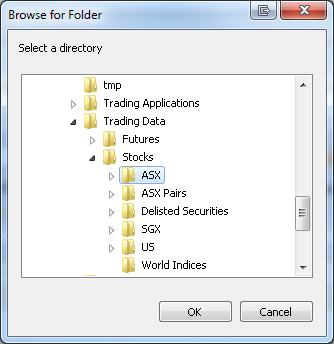 This will now show up within TradeGuider as "ASX All Ordinaries" in the Metastock Watchlists area of the screen. Repeat until all items are completed. This was an issue in v2.5.3 of TradeGuider. 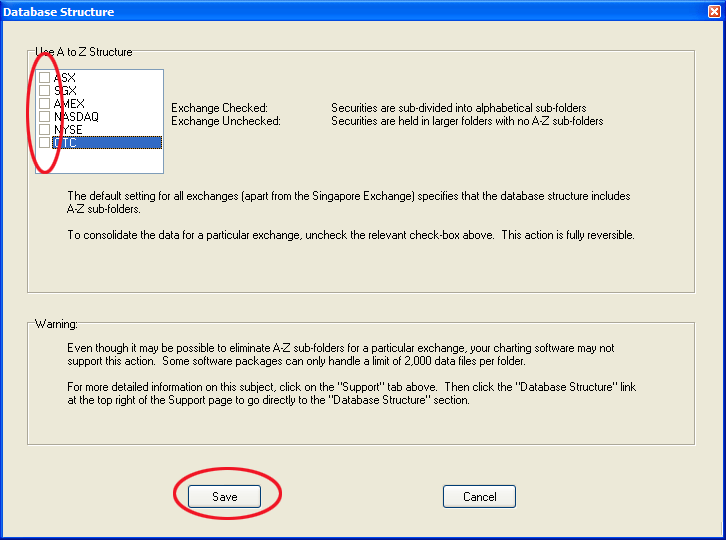 You should upgrade to a later version of TradeGuider to fix this issue.